"You're living in the past, this is the 14th century!" Hi lovelies! 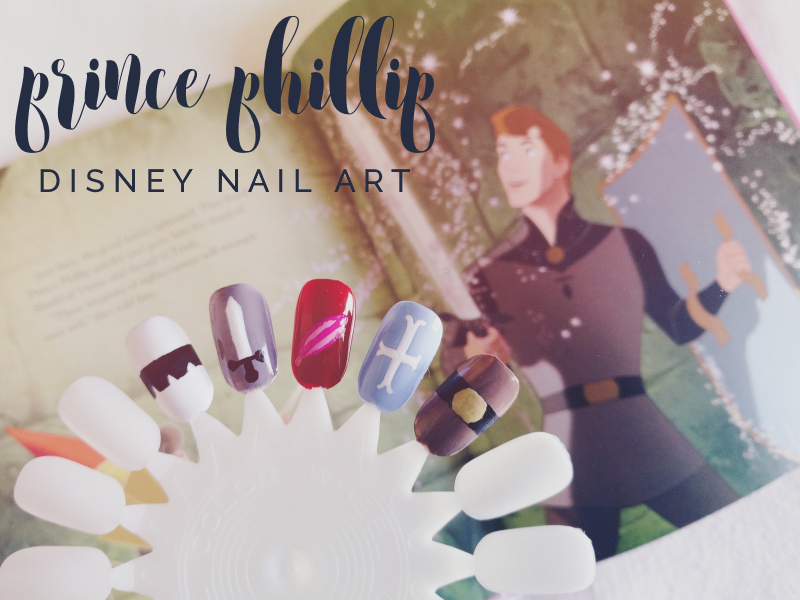 As I mentioned in January's post, Sam from The Belle Jar and I are collaborating on a series of 12 Disney nail art collaborations this year based off the 2017 Thomas Kinkade Disney calendar, and as February is Sleeping Beauty, Sam has done Aurora-inspired nail art, and I Prince Phillip! I was a little worried about doing Prince Phillip at first as I wasn't sure there was enough detailing on his outfit to base a design off but when I recently re-watched Sleeping Beauty in preparation, the design actually came quite easily! I decided to base each nail off an aspect of his character so the first nail after his horse, the second and fourth his Sword of Truth and Shield of Virtue that the fairies give him to help defeat Maleficient, the third his hat feather and cape and the fifth his tunic and belt! I also used a coat of Ciaté's Pillow Fight under each nail as Phillip's colours are all quite muted. For the details I used Barry M's Nail Art Pens in Black, Pink and White, one of Primark's Nail Art Pens for the darker pink colour and Ciaté Nail Polish in Hidden Gem for the belt buckle on the last nail. What do you think? Did I do Phillip justice? 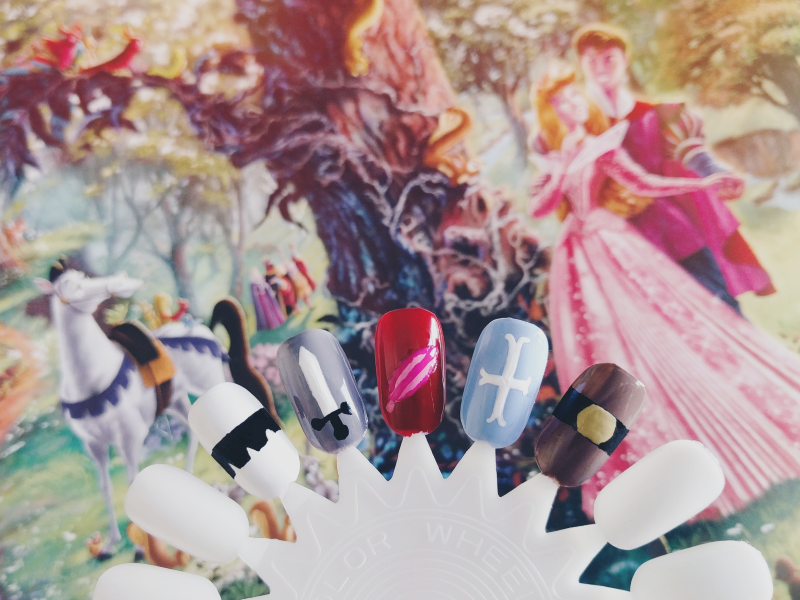 Make sure to check out Sam's accompanying Aurora design when it's up a little later!